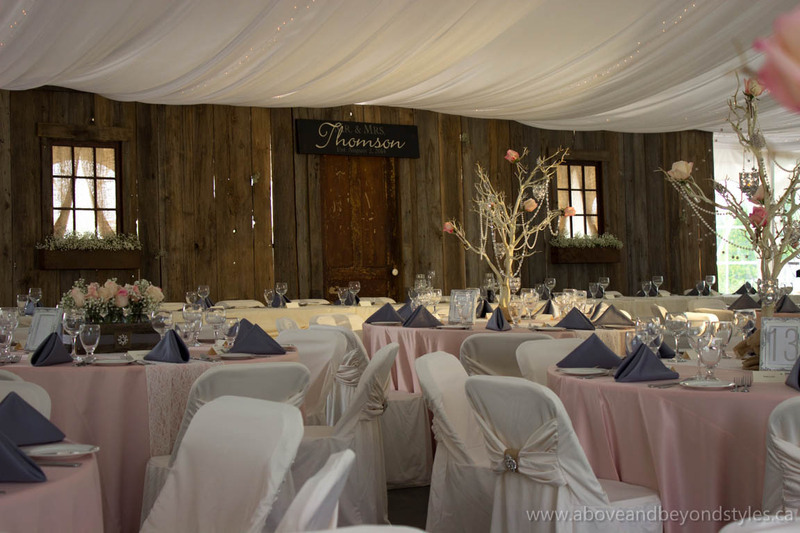 Above & Beyond has fostered a strong relationship with the Stone Willow Inn, located two minutes away from downtown St. Marys. Along with many other beautiful venues in “The Stone Town,” the Stone Willow Inn (Facebook) is a wonderful space to hold your wedding reception and ceremony. 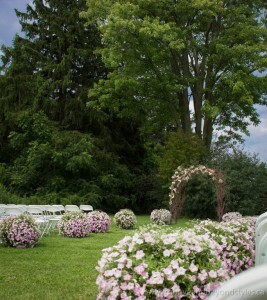 The inn’s unique features include an outdoor tent that can hold 200+ guests, rooms for your friends and family to spend the night, and a picturesque outdoor ceremony site. We enjoy working with the staff at the Stone Willow Inn because they are professional, reliable, and we appreciate their great attention to detail. It is very helpful to work with well-put together teams at venues because it allows us to be more efficient, and it contributes to the overall atmosphere of the decorate. 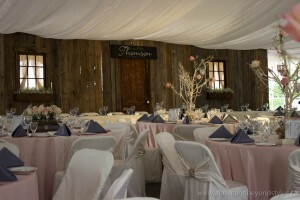 The Stone Willow Inn staff handle all situations with professionalism, and they provide extensive support for couples. For example, last summer, the day before a wedding at the Stone Willow Inn, a massive storm had rolled into St. Marys that had huge gusts of wind and forced our team to evacuate the decorate. The couple was extremely impressed with how everyone appeared completely calm with the situation and made them feel like everything was under control. During one of our more memorable moments decorating this tent, we had just finished putting up the barnboard backdrop and the sun was setting. 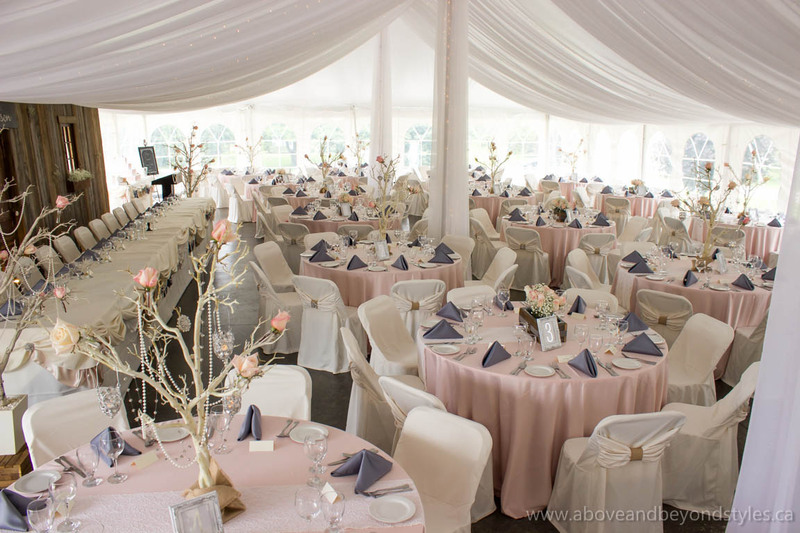 As it shone through the windows of the tent, it continued to shine through the window in the backdrop and looked absolutely stunning! We knew it would be just as gorgeous at dinner during the wedding reception the next day. 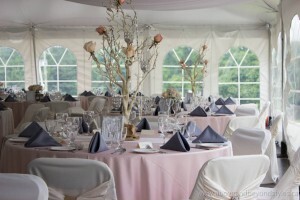 We highly recommend the Stone Willow Inn as a venue for any event. As their motto states, “Don’t worry about it, it’s all taken care of.” Have them host your wedding, and we’ll take care of your decor!